Client was arrested for DUI after a one-vehicle accident. As a result of minor injuries, he was taken to the Emergency Room for evaluation and treatment. The video recording shows that Client was confused and disoriented and repeatedly asked questions as to what had happened and why he was there. The officer advised Client of his Miranda Rights which includes the right to speak to an attorney prior to answering any questions. Client could not provide any information regarding the accident and he was then advised of the Colorado Express Consent Law and requested to submit to a blood draw. Client insisted on talking to a lawyer prior to the blood draw. The Colorado Supreme Court has held that the giving of a Miranda warning so confused the driver that the officer's failure to clear up the confusion meant the driver could not be held strictly accountable for refusing a blood draw or giving a breath sample. For this law to apply, the driver must not only demonstrate that there was confusion about the right to counsel, but also that the confusion was caused by an act or omission of the officer and that there was a request to speak to a lawyer prior to completing the test and the failure by the officer to explain why there was entitlement to a lawyer. Without the giving of the Miranda warning, insisting upon consulting with a lawyer prior to choosing which test to take or completing the requested test, is deemed a refusal. Following arguments to the hearing officer at the DMV Hearing, the Administrative Revocation was dismissed because of the confusion created by the officer and his failure to explain why Client was not entitled to consult with a lawyer prior to the blood draw. This issue was identified and successfully argued and Client avoided a 60-day revocation and two years of driving with the electronic ignition device. 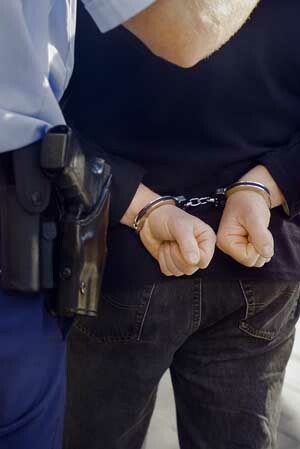 Whether you are read the Miranda Warning or not, you have the right to remain silent. Use it. Call my lawyer is the only answer you need to remember. For any case in Steamboat Springs, Craig, or Hot Sulphur Springs, call me immediately (970-871-7400). "Over the last fourteen years, I have tried more jury trials than any practicing attorney in the 14th Judicial District (Routt County, Moffat County, and Grand County Colorado including Steamboat Springs, Craig, and Hot Sulphur Springs) with consistent success." Attorney Larry Combs provides criminal defense within the 14th judicial district which includes Routt County, Moffat County, and Grand County Colorado. This includes the municipalities of Steamboat Springs, Craig, Hot Sulphur Springs, Oak Creek, and Hayden. © Copyright 2019. All Rights Reserved. 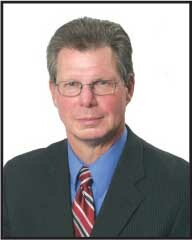 Larry D. Combs.